A high-ranking Republican legislator has said that the U.S. Congress should cut off funding for the Lebanese army if Hizbullah plays "even a minor role" in Premier-designate Najib Miqati's government. Representative Steve Chabot of Ohio, chairman of the House of Representatives' Foreign Affairs Subcommittee on the Middle East and South Asia, told The Daily Star in an interview published Friday that Congress should not donate U.S. taxpayer money to Lebanon if the assistance winds up under Hizbullah's control. "If Hizbullah is calling the shots or playing a major role or even a minor role in calling the shots, then, as far as I'm concerned, not a penny of U.S. (funding) should go to assist in terrorist-connected activities," he said. U.S. President Barack Obama has pledged to give about $100 million to the army this year; since the departure of Syrian troops from Lebanon in 2005, the U.S. has contributed more than $700 million to the Lebanese military. "The funding of the Lebanese Armed Forces was initiated under very different circumstances than we find ourselves in now," Chabot told the English-language newspaper. "We've clearly had a shift in the government and the power," he said in reference to Miqati's nomination by the Hizbullah-led alliance to form the new cabinet. "The spirit of the Cedar Revolution was very strong then … but Hizbullah is flexing its muscles and is clearly very involved now in running things in Lebanon," Chabot added. The lawmaker expressed support for the Special Tribunal for Lebanon and said that justice should prevail in ex-Premier Rafik Hariri's assassination case. He said he believed that the Hizbullah-led alliance toppled Caretaker Premier Saad Hariri's government over fears that the tribunal's indictment would name Hizbullah members. BEIRUT: The U.S. Congress should cut off funding for the Lebanese Army if Hezbollah plays “even in a minor role” in the next government, a high-ranking Republican legislator told The Daily Star in an exclusive interview. “I want to make sure that the United States is not giving our citizens’ tax dollars to either terrorist entities or to militaries controlled by terrorist entities,” Chabot said. 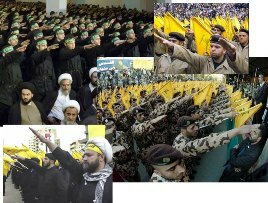 “If Hezbollah is calling the shots or playing a major role or even a minor role in calling the shots, then, as far as I’m concerned, not a penny of U.S. [funding] should go to assist in terrorist-connected activities. Even though the flow of U.S. support for the army since 2005 has taken place mostly while Hezbollah members sat in various governments, Chabot said Congress needed to re-examine the funding because Hezbollah’s mushrooming clout in domestic politics had changed the political dynamic in Lebanon. Chabot declined to comment on Prime Minister-designate Najib Mikati, nominated on the strength of support from the Hezbollah-led March 8 alliance, or the ongoing efforts to form a new Cabinet. “The funding of the Lebanese Armed Forces was initiated under very different circumstances than we find ourselves in now,” he said. 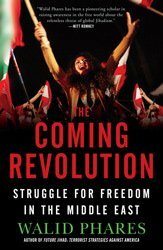 “We’ve clearly had a shift in the government and the power, the control [and] the involvement of Hezbollah now compared to where it was when this program was initiated. While others have expressed fears that the U.S. weapons and materiel earmarked for the army could end up in Hezbollah’s arsenal, Chabot said the question also revolved around the need to hold government spending in check as the federal deficit balloons. House Republicans, who gained a majority in the November 2010 midterm elections, have promised to cut $100 billion from Obama’s proposed 2011 budget. “We have so many responsibilities here in our own country and around the world,” he said. “We’re trying to get our economy back on track here, [so] we have to be even more careful and scrutinize every outlay of American taxpayer dollars and be even more careful than we have been in the past. Although Congress does not have the ability to veto individual items in the White House’s proposed budget, the legislative branch does have final control over the outlay of funds; in other words, Chabot and the Republican majority could simply withhold their ratification for sending the $100 million intended for the army, he said. “Congress has the power of the purse … meaning nothing can get spent unless Congress approves,” he added. At the same time, Chabot said he supported the Special Tribunal for Lebanon, which has driven apart Lebanon’s political camps so forcefully that differences over the court largely sparked the mass resignation of ministers in January that brought down caretaker Prime Minister Saad Hariri’s Cabinet. Hezbollah leader Sayyed Hassan Nasrallah has said that the U.S. and Israel are in control of the tribunal and are wielding it as tool to harm the Shiite group, and Nasrallah also said that he expects the court to indict Hezbollah members in the February 2005 assassination of former Prime Minister Rafik Hariri. Regardless of its place on the U.S. list of terrorist organizations, Hezbollah remains the most popular political group among Lebanon’s Shiites, and Chabot said he would not meddle in telling adherents of the sect which party to back. In spite of the new fiscal vigilance of Republicans, Chabot said he was not considering any reduction in U.S. foreign assistance for Israel. Washington’s largesse for Israel is budgeted for 2011 at $3 billion – or about 30 times the amount pledged to the Lebanese Army. In the end, Chabot said the long-term interest guiding his desire to eliminate U.S. aid to Lebanon for the time being was the welfare of the people of Lebanon, stating the populace would be better served if Hezbollah, Syria and Iran saw their influence here wane. “We want the best for Lebanon,” he said. “We want the best for the people of Lebanon. We just don’t think it’s in their best interest ultimately to have terrorist organizations and to have Syria and Iran play such a large role in the present and, unfortunately, maybe in their future. “We want what the spirit of the Cedar Revolution is all about to prevail. We want people to be free, to lead good lives and be able to support their families and have freedom and free speech and not have to live in fear, not have elected officials and journalists looking over their shoulders and being afraid if they speak up that something bad might happen.